Using the Five Themes of Geography, these resources present concepts using simple language and vocabulary. 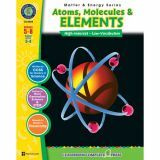 Includes information passages, ready-to-use activities, full-color transparency maps, blackline student maps, and more. 2 books combined. 114 pages, 24 mini posters. Grades 5-8; Reading Levels 3-4. 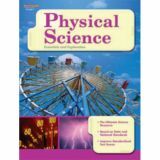 With content based on state and national standards, these books can be used as a stand-alone resource or as a supplement for other science materials including basals. 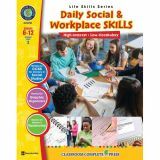 Each book contains key terms, specific topic instruction, review activities in standardized test format, puzzles, a glossary and a bound-in answer key. 96 pages. 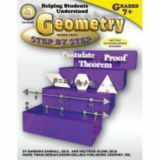 Help students in grades 7 and up transition from math to geometry using Helping Students Understand Geometry. Students will learn important skills such as health and hygiene, how to behave in a social environment, and how to budget and best spend their money. 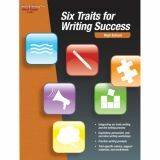 Each resource includes reading passages, graphic organizers, real-world activities, crossword, word search and comprehension quiz. 60 pages. Grades 6–12; Reading Level 3. Hands-on, easy-to-follow resource helps students learn successful note-taking skills while learning standards-aligned skills. 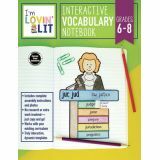 Comprehensive templates and lessons will make teaching vocabulary and grammar a revolutionary interactive experience. Full-color pages feature step-by-step, photographic instructions with no research or extra work involved. 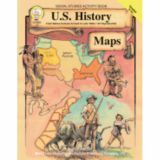 Bring the action and adventure of U.S. history into the classroom with U.S. History Maps for grades 5 and up! From the ice age to the admission of the 50th state, this fascinating 96-page resource book enhances the study of any era in U.S. history! The maps can be easily reproduced, projected, and scanned, and each map includes classroom activities and brief explanations of historical events. 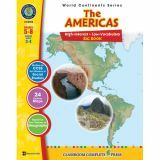 This middle grade social studies book covers topics such as the discovery of America, Spanish conquistadors, the New England colonies, wars and conflicts, westward expansion, slavery, and transportation. The book includes answer keys. Learn about solids, liquids and gases, properties and changes in matter, and the difference between a mixture and a solution. Then, explore the invisible world of atoms and molecules. Then on to the periodic table of elements, followed by a study of energy. Jam-packed with experiments, reading passages, and activities. Overhead transparencies and answer key included. 60 pages, 6 mini posters. Grades 5-8; Reading Level 3-4. Study animal classification and the difference between warm- and cold-blooded animals. Learn about the structures and functions of plant and animal cells. Explore biotic and abiotic ecosystems. Reading passages, answer keys, and tests. 60 pages plus 6 mini posters. Grades 5-8; Reading Level 3-4. 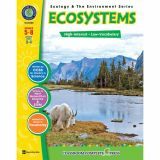 Ecology & The Environment Big Book includes all 3 books combined. 170 pages, 18 mini posters. 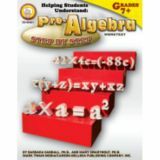 Facilitate a smooth transition from arithmetic to pre-algebra for students in grades 7 and up using Helping Students Understand Pre-Algebra. This social studies interactive notebook for middle grades provides everything students need for successful, personalized note taking. 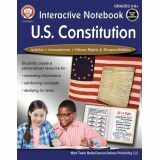 This social studies interactive notebook helps students review and study for tests. Mark Twain Media Publishing Company specializes in providing engaging supplemental books and decorative resources to complement middle- and upper-grade classrooms. Designed by leading educators, this product line covers a range of subjects including mathematics, sciences, language arts, social studies, history, government, fine arts, and character.